Greece lost the first set against Hungary but after that won the match really easy 25-15,25-10,25-15. First scorer was Anthouli (1,98m) with 24 points. 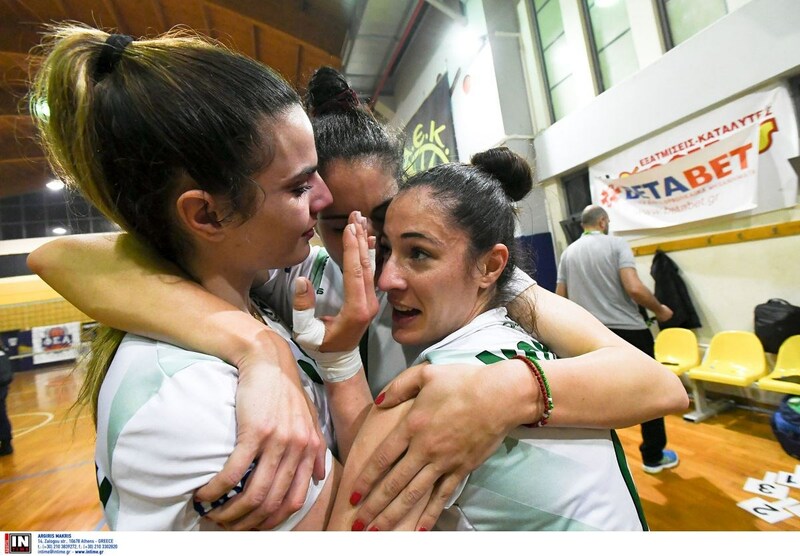 Greek girls are unlucky because in bva cup they had to play against turkey and serbia and now they are in the same pool with serbia. Among these coaches the president of Markopoulo is fb friend with Caprara, but Caprara has been again in Greece. Also, the president of Markopoulo had upload on fb a picture of Guidetti and wrote "proud of you my friend",but i dont think its possible to bring him in Greece. Ierapetra, Greece, April 21, 2019. PAOK THESSALONIKI celebrated their third men’s Greek Cup title Saturday night before a sell-out crowd in Europe’s southernmost town after beating crosstown rivals Iraklis Petosferisi 2015 THESSALONIKI 3-1 (20-25, 25-12, 25-20, 27-25). It took PAOK three match balls to finish the game, as Iraklis tried in vain to force the game into a tiebreak. Led by USA’s Garrett Muagututia who scored a match-high 23 points, and the Netherlands’ Niels Klapwijk who added another 20, PAOK recovered quickly and decisively from losing the first set to base their win on superior reception and overwhelm Iraklis in attacking efficiency with 47% (53/113) to just 39% (47/119). Muagututia was named MVP of the Final Four for his contribution to PAOK’s third cup title after their successes in 2015 and 2018. Tournament MVP Garrett Muagututia of PAOK attempts to get past the block of Iraklis' Thanassis Dinas and Egor Popov. Opposite Egor Popov of Russia was Iraklis’ best scorer with 19 points. Full house at Ierapetra, the southernmost town of Europe, for the Greek Men's Cup Final between Thessaloniki rivals PAOK and Iraklis. Saturday’s game in Ierapetra, Crete, was a rematch of last year’s Cup Final, in which PAOK had shut out Iraklis in straight sets on the island of Rhodes. To reach the final PAOK had previously knocked out Olympiacos PIRAEUS in the semi-finals in Ierapetra 3-1 (22-25, 25-15, 25-23, 28-26). Iraklis had knocked out Foinikas SYROS 3-2 (23-25, 25-20, 22-25, 25-23, 15-8). Riley is the boyfriend of Llyod and someone posted that he must stop posting photos with her because Jole is jealous and cant play good. Riley likes the photos Vale and Jole who are the ex girlfriends of his girlfriend. Here is a thread about lesbian volleyball players and has more than 30.000 posts. I couldnt imagine that there people who care so much about lesbian players. One male beach volleyball player wrote on an youtube comment that Lyod is his girlfriend. I was suprised because i knew that Lyod was with Vale before some years. Then i remembered this thread. Lyod after Vale was with Jovana Stefanovic but after that she is with a guy. 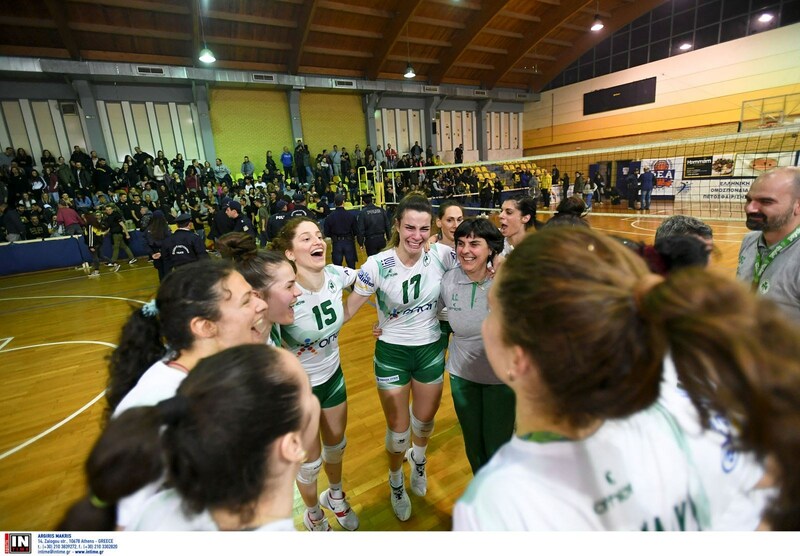 Panathinaikos beat AEK 3-1 and wants one more win against AEK in order to come back in volleyleague. Athina Papafotiou was awarded MVP of the French Ligue. According to a greek site the people in France cannot understand why greek NT doesnt call her.